Level 10 Construction was the general contractor for the project. 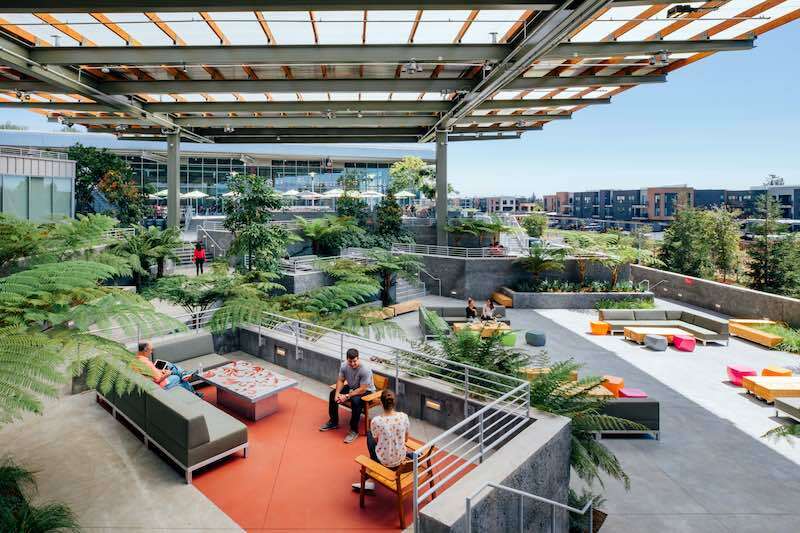 Facebook’s MPK 20 Menlo Park HQ campus is a 433,000-sf building topped with an expansive nine-acre green roof. 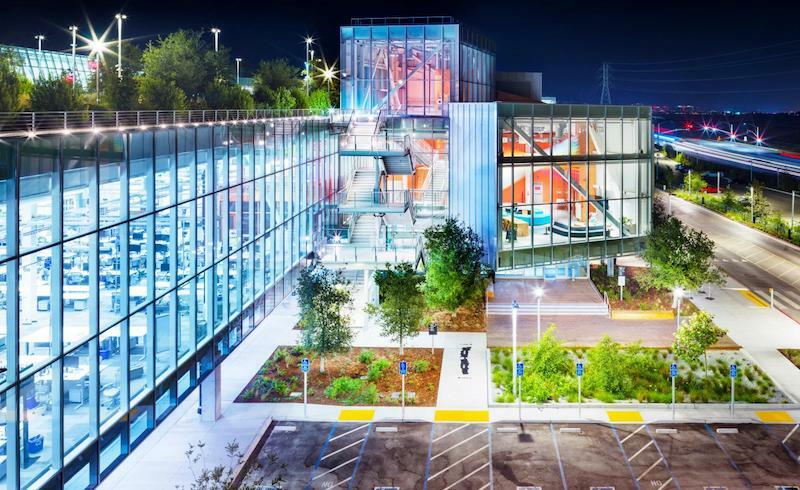 Completed in 2015, the build team of Facebook, Gehry Partners, and Level 10 Construction didn’t rest for long before beginning MPK 21, a 524,000-sf expansion. Much like MPK 20, MPK 21 includes a giant level of single-floor, open-plan office space with break-away spaces and service amenities. A single pathway runs the entire length of the building and leads to five unique dining options, 15 art installations, and a 2,000-seat event and meeting space. MPK 21’s 3.6-acre green roof (MPK 20 provides an additional 9 acres of green roof space) includes walking trails that weave around hundreds of trees, grasses, and shrubs. 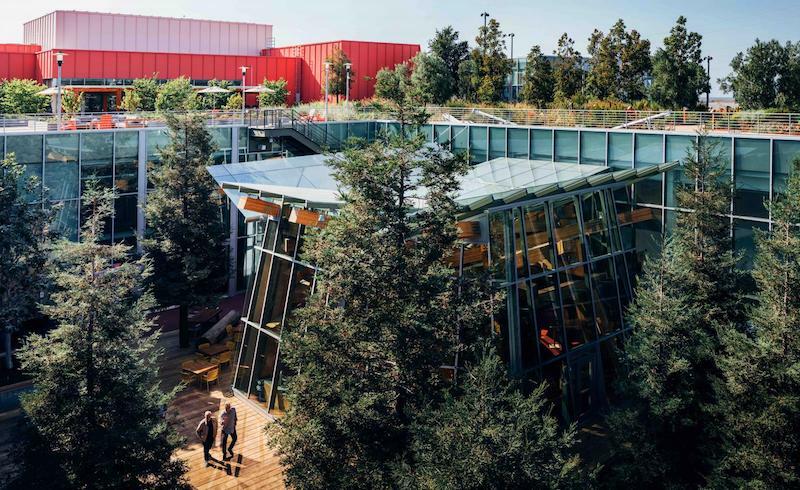 Nature doesn't just exist on the roof, however, as 40-foot-tall Redwoods are included in the Town Square, a sheltered green space. MPK 21 connects to MPK 20 via The Bowl, an amphitheater-style courtyard, and also features a bridge that leads over a highway and connects to hiking trails along the neighboring wetlands. Among the new building’s sustainability features are a reclaimed water system designed to save 17 million gallons per year and a 1.4-megawatt PV system that creates 2 million kWh of electricity annually. The new building is targeting Leed Platinum certification. MPK 20 was built in 21 months and, despite being almost 100,000 sf larger, MPK 21 was built in just 17 months. Both buildings include signature Frank Gehry elements such as exterior metal paneling. The Town Square. Courtesy Facebook. For a more in depth look at MPK 21, click here.